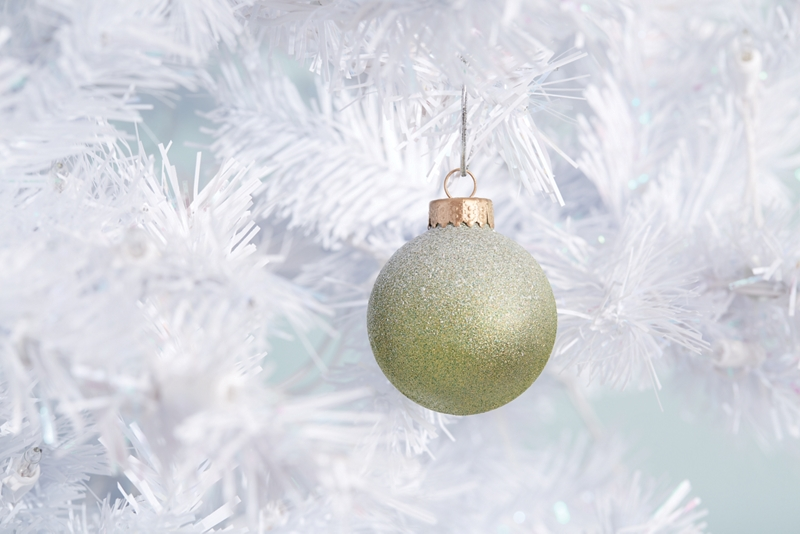 Give your holiday tree vintage style with these beautiful, glitter ornaments. Protect your work surface by putting down a tarp or other protective covering. Be sure to wear safety gear such as gloves and safety glasses when spray painting. Clean ornament with grease-removing dish soap. Allow to dry then rub with alcohol to remove any residue. Remove the hook top of the ornament and spray with Krylon® General Purpose Metallic Paint. Set aside to dry. Spray ornament with a light coat of Krylon® Glitter Blast™ in Citrus Dream. Allow to dry for 1 hour, then apply a second coat and allow to dry a minimum of 24 hours. Timing is everything for this project! Allow layers of paint to dry thoroughly between coats, but make sure you remove painters tape and other masking materials within 10 minutes of spraying.